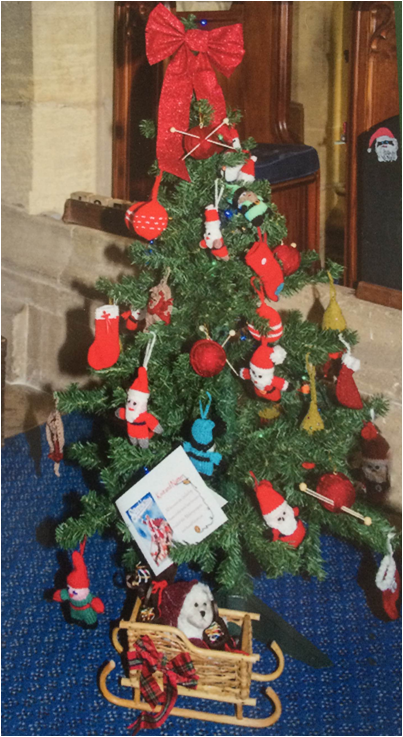 from our fabulous Christmas Tree Festival...enjoy! We have been hard at it successfully raising money in the benefice. Christmas Tree Festival The Christmas Tree festival raised over £1,200 this weekend. The Knitters and Natterers and the Youth Fellowship also raised £169 through the sale of handmade Christmas Decorations for our hostel project at Makeni Ecumenical Centre in Zambia. Thank you to all who helped organise this event and to those who attended. Pictures of the festival will be posted shortly. St Edmund's Feast DayA big thank you to everyone who helped with the concert on Saturday especially Edward. Your contributions were greatly appreciated and enjoyed by the audience. We were delighted with a profit of over £500 in aid of the organ fund.